Hard work. To do a job well, we have to work hard, but working hard and caring about what we do is what gets results. Great results make our customers happy, and that outcome is always our primary goal. Building relationships. We want to do more than one sweep of your parking lot or pressure wash of your garage. We want to build a business relationship with you so that when you need us, you know you can count on us. Professionalism. We answer our phones. We respond to you as quickly as possible. We show up on time with the right equipment and we get the job done. We’re on call 24/7. That’s what it means to be professional. High standards. We use top-of-the-line industry equipment and we fully train our operators so that they produce nothing less than outstanding results. It’s precisely our high standards that have earned us a reputation for excellence. 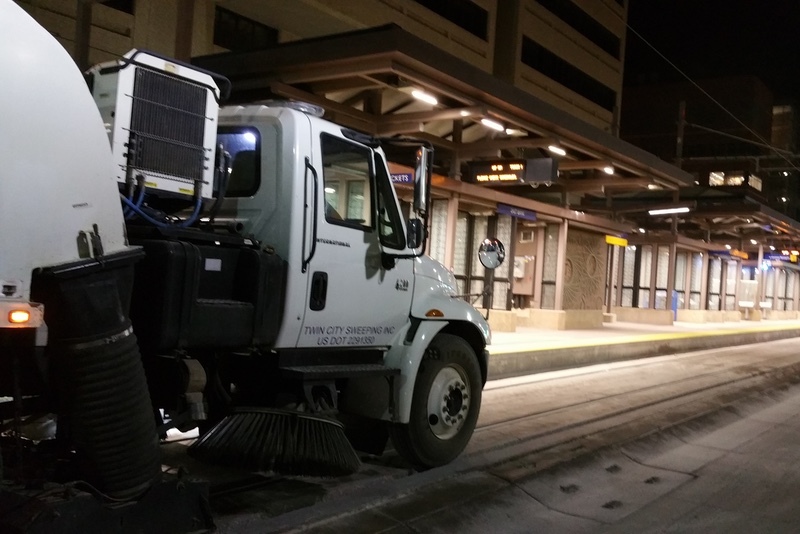 Twin City Sweeping offers 24-hour service, 7 days a week. Request a quote online or call 612-499-2680 today to receive your free estimate.